The T.V. Competition ComicPaper Supplement is a regular bi-monthly newsprint tabloid/broadsheet comic representing the work of the cartooning group ‘T.V. Competition: FutureFutureFuture’. 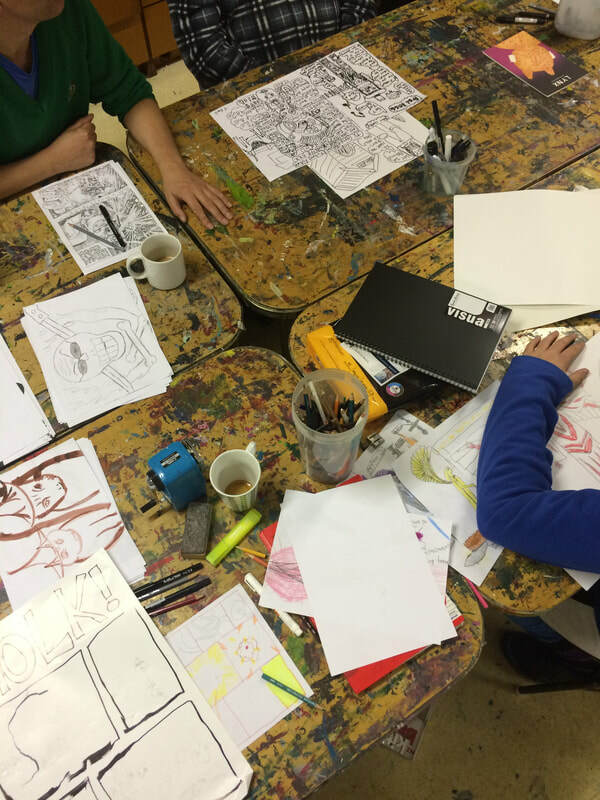 The ComicPaper Supplement will be locally distributed through selected businesses in the Mt Albert / Mt Eden area and hopes to engage with the wider community through submissions and drawn responses by the group. The Supplement will be distributed mid-month in October, December, February, April, and June through 2017/18.